I had longed to be mummy but was always scared of giving birth. When I was lucky enough to fall pregnant, I put the birth to the back of my mind but as the months progressed I became terrified and would get very emotional when I talked about it. I wanted to overcome it but fear was holding me back. My best friend, who was my voice of calm and reason, put me in touch with Pammie. From our first discussion, I felt that Pammie would be able to help me, I felt that she really understood me. During the informal 121 we did a meditation and a visualisation session. We also did a fear releasing session along with some hypnobirthing. My fear levels before we started were 10/10 but I can honestly say as the day went on, the fear levels decreased and I felt that my fear wasn’t real anymore. That was all down to Pammie’s relaxed, calming, caring and sincere way of teaching. I knew I had wanted to have a session with Pam, since I had found out I was pregnant in January . I am due in 2weeks and now was the absolute best time for me to see her. I needed confirmation that I could do this naturally and that I am strong enough to allow my spirit,body & baby to guide me through labour without intervention. Pam helped me to channel all of my strength and focus so that I believe without doubt that I am ready for this. The session was enlightening,inspiring and uplifting. She has given me some invaluable tools and guidance, that I know will see me through the final phase of this journey. She has sent me through lots of information and has encouraged me to listen to her guided meditation for the remainder of My pregnancy. I am no longer anxious of when I will go into labour, I just know that I am ready whenever it may come . Thank-you Pam for the lovely soul that you are and for sharing your knowledge in such a warm, passionate and caring way. It was lovely to meet you and thank you for the lovely sealing ceremony! It was so physically relaxing, deeply emotional and thoroughly satisfying to have your warm hands performing the closing of my body, your wise & loving words in my head and your deep spiritual presence in my house with my baby. Huge thanks for that magical moment of us with the baby and angels in the room, a heart warming chat that released my tensions/thoughts/emotional build up and a motherly hug that melted my heart and lifted my spirits. Baby and I slept peacefully for 2 hours after you left and felt much better and physically an d emotionally stronger after. Bless you, Pam. From the time I was searching for a doula on the internet and Pamela’s profile was the only one that I could relate to and one that I felt a strong connection with. When I contacted her, I instantly knew she was the chosen one for us! It was if the universe brought us together. We both definitely had a connection. Pam is such a wonderful doula, and I would highly recommend her to anyone. This was our first pregnancy and we both wanted to have an experienced and encouraging Doula to help us along the way. In addition, I wanted to complete childbirth naturally with no medication. Pam was helpful in educating us in what to expect in the weeks leading up to the birth, the childbirth process itself, and what to expect postpartum. Not only did she help me to prepare my birth wishes (which were fully met during my labour) she supported us throughout the pregnancy in various ways. She was invaluable to both me and my husband. I can’t imagine what it would have been like without her. She is the reason I felt so relaxed in the process and was extremely patient and attentive through my long labour. Even in the middle of the night she was really responsive… On Christmas Day I went into labour and she sacrificed her family and children to be with me. It is beyond words how much this means to us. Our daughter was born in the early hours on Boxing Day 2015. Pam was very professional and nurturing throughout the labour and delivery. She was quick to suggest labouring positions and to ask questions and make suggestions that were in my best interest. In addition, she also provided music, candle lights and massaged me regularly. She kept me moving through dancing, walking and bouncing on the pilates ball. We chanted ‘OM’ to send deep harmonising vibrations and she encouraged me to continue taking long strong breaths throughout. She really helped us achieve our ideal labour and delivery. I had a beautiful water birth and my daughter was born naturally as I wanted and was a great cheerleader in moments where I thought I would not be able to deliver the baby. She is spectacular in every sense and we recommend her highly. Thank you so much! I expected my blessingway ceremony to be filled with peace, love and light, it was everything I’d wished for and more. It truly exceeded my every expectation. Pam is an amazing and kind soul, she emailed all my guests and totally made me feel at ease with the whole process leaving me to focus on me. Finding Pam was a true blessing, there are no words than could possibly express my appreciation. My guests are still talking about how wonderful she was and how they loved my blessingway ceremony. It is my powerful desire that every woman be blessed in this way and have Pam host their special day! A deeply magical experience! Pam is a natural born healer, and her beautiful spirit radiates brightly. Thoroughly upbeat and positive, Pam brings joy into healing and is able to create radical changes in a short time through her strong and seemingly effortless abilities. Her Reiki is powerful and seems to work like magic and she definitely goes that extra mile as she genuinley cares about peoples well-being and radiant health. Naturally powerful healers like Pammie are hard to find and I cannot recommend enough! Pamela came to help us for 6 weeks following the birth of our daughter and made all the difference in the world. Her practical help meant that I didn’t have to worry about housework and could spend all my time bonding with my new baby, toddler and husband. Pamela helped me with the new baby, bathing her, winding her, even teaching her how to take a bottle and later on looking after her which gave me a precious bit of ‘me’ time during those first few weeks. She was also wonderful with my toddler, playing with him and entertaining him when I had my hands full with my new baby. As well as offering practical help Pamela provided invaluable emotional support, encouraging me and assuring me that everything was fine. Just knowing that she was coming over every day made me feel calm and reassured in the tumultuous first few weeks of having two under two. I am so grateful to Pamela for the support she gave to my family during this precious time and I know that without her our transition to being a family of four would have been much more difficult. Thank you so much Pam! 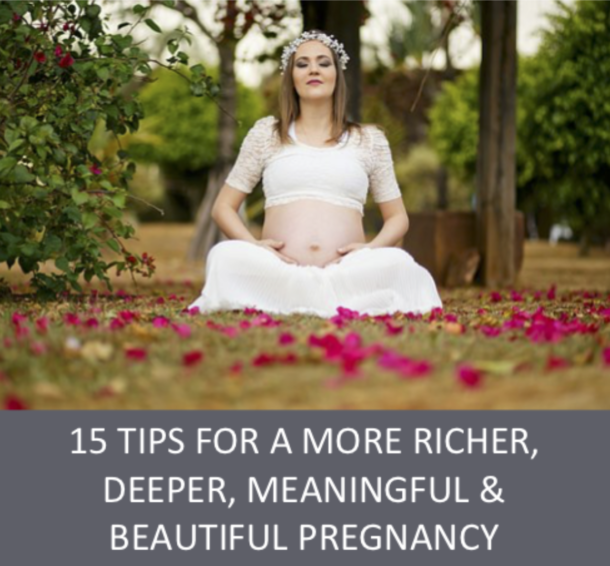 I’d heard of a blessingway or mother blessing ceremony before because a few of my friends in America and elsewhere had had them, and as I grew more and more pregnant I also had the increasing sense that I wanted to experience something like it for myself. Whilst I wanted a more ‘traditional’ baby shower for various reasons I also had the strong sense that it wasn’t quite going to cut it in terms of what I needed for me at this point in my life and my pregnancy as I made the last few steps to the huge job of giving birth and becoming a mother. I stumbled upon Pam’s pregnancy retreats on Facebook and immediately got in touch. As it turned out though it didn’t look likely that a retreat with a group of like minded, equally pregnant ladies was going to be an option. But instead of leaving it there Pam went out of her way to suggest she run me my very own blessingway, exactly how I needed it, just for me. I couldn’t believe how lucky I was to have found her and knew there would have been no way I could had had this experience without that suggestion. Over the next few weeks (if not months!) Pam was amazing. She poured so much time, love and energy into preparing the ceremony, chatting to me about what I wanted, making suggestions, finding alternatives, tailoring it just so. She sent out beautifully designed invites and an order of service to all my guests and even drove over to my house to meet me in person and get a feel for the space. On the day itself Pam spent 2 hours with me settling in, helping to ground me, setting up and getting ready. As for the ceremony itself, it’s hard for me to describe how much it meant to me. How special it was. How touched, honoured and loved I felt and still do. It was absolutely and totally amazing and the best thing I have done the whole way through my pregnancy…and I’ve done a lot of preparation! Every little touch from the practical (bringing her own chairs and altar bits and bobs) to the spiritual (smudging, invocations…too many to mention) and the supportive (bunting for guests to write encouraging messages on to look at during labour). Pamela’s assurance, encouragement and belief that labour and childbirth is a natural thing assuaged any of my fears and doubts concerning childbirth. She provided active birth notes and also sent a meditation track that she did herself. During labour she helped eased the pain with encouragement and massage, especially to the sacrum area, neck and head. She spoke up when medical staff proposed a direction away from our birth plan, reminded and encouraged me when I was finding the contractions very tough to endure and was very supportive and encouraging. As we had all been there for a while, we were very tired and my husband would have struggled to last so long in his support role without Pamela and we are also very grateful for her help in this too. She also provided support and encouragement in different positions and breastfeeding advice. Fantastic doula and would highly recommend her. I found Pam completely reliable and was always there for me when I needed to talk about things. She guided me and understood my concerns and when my homebirth became a hospital birth I felt instant relief when she arrived. She guided me in my breathing, helping me to keep focused. She massaged me and kept cold flannels on my forehead. I had a 5 hour labour and a natural birth and believe that this was due to having great support (both my other two births over 2 days long) I knew I could trust Pamela completely to speak on my behalf should any problems or issues occur and her guidance and encouragement pre, birth and post were amazing. I employed Pam as my birth doula and also postnatally. I knew I could trust Pamela as soon as I met her. She completely put me at ease with everything with her kind, cheerful and gentle manner. As it was my first baby and my husband was away I was very nervous about the whole thing. Pam completely empathised, supported and encouraged me. During labour she massaged me and did some Reiki and also encouraged and supported me when it got tough. I had a 7 hour labour and don’t think I could have done it without her help. Postnatally she helped me with breastfeeding positions, showed me how to massage and bath my baby and also treated me with a shoulder rub too! Also importantly she was there when I needed to talk to someone…. Pam is a fantastic doula and is passionate about helping other people. I took Pam on as my postnatal doula to help me with my twins. I found her to be very sensitive, kind, reliable and empathetic. She is an experienced mother of three (she also has twins) and she treated my boys beautifully and genuinely and thoughtfully looked after me. She lightened my load and helped with the endless chores around the house and I cannot thank her enough for her support, understanding and her genuine caring for people. Postnatally Pam helped me out with my second child and made life much easier for us, making it a very positive one. We found her very easy to get along and was great to have around and was a great support. Thank you Pam!